Create a Hygienic & Easy to Clean Bathroom. Cleaning is a job we all love to hate, but is a chore we simply cannot avoid. The bathroom is one of the most used rooms in the home that is shared by multiple household members and guests. Therefore, the bathroom requires weekly cleaning to keep it spick and span, free of bacteria and mould. 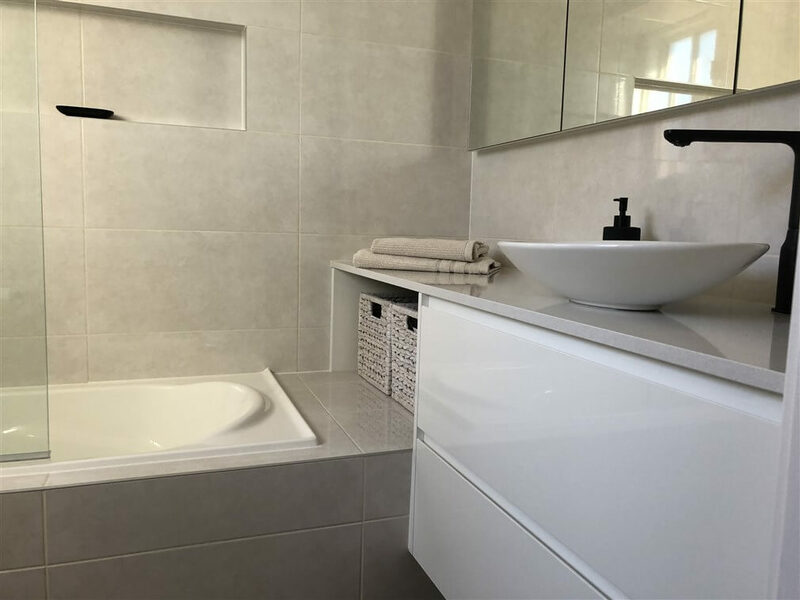 As there is no way to avoid this regular chore, it makes sense when renovating the bathroom, to choose products, materials and a design that makes cleaning the bathroom as quick and easy as possible. Grout joins can be difficult to keep clean as a bathroom ages and more grout joins equals more cleaning. Using large format, rectified tiles means less grout joins to clean. 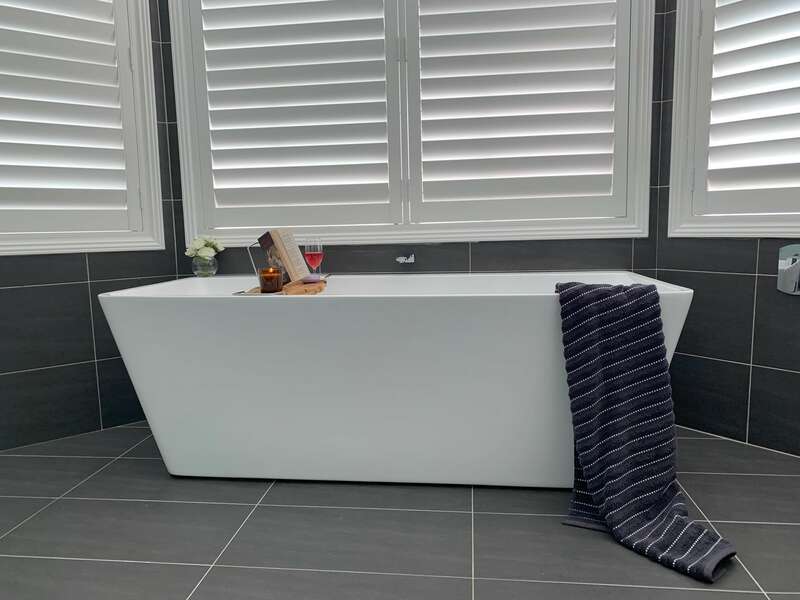 Not only do they make cleaning easier, large format tiles look fantastic and create a seamless, clean appearance in the bathroom, adding to the appearance of space. Coloured grout is another option to consider when tiling. It can be used to blend with the colour of a tile making the grout joins even less noticeable. For more hints and tips for choosing your bathroom tile see our blog post Choosing a colour scheme for your Bathroom. Stunning marble look alike porcelain tiles, shower niche & smart waste. 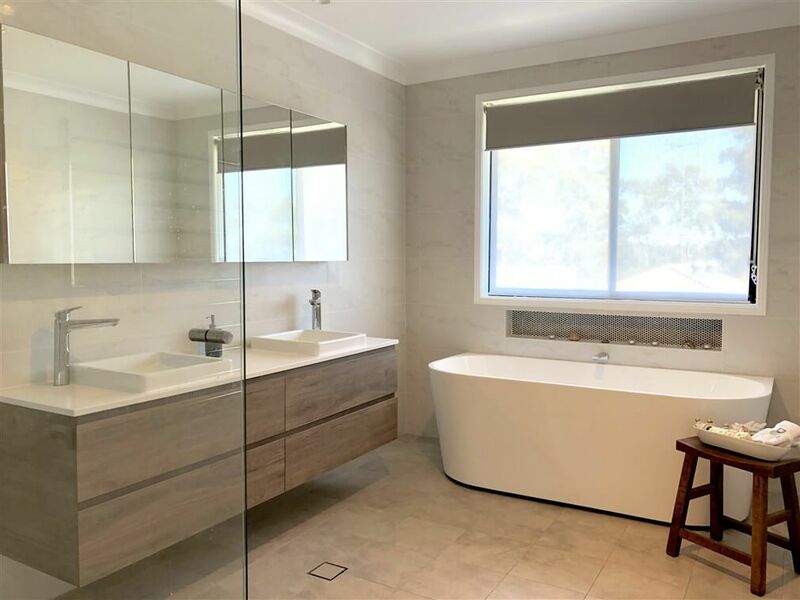 Bathroom renovation by Master Bathrooms & Kitchens. 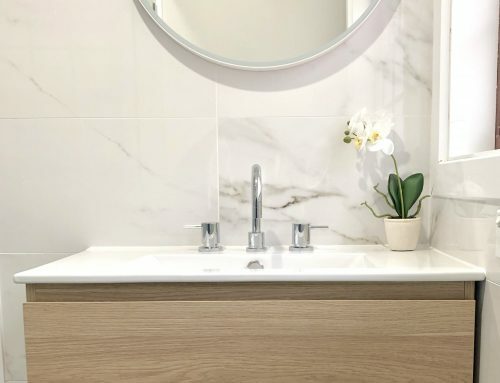 Natural stone looks amazing and there’s no denying its impact in the bathroom. However natural stone is incredibly porous and requires annual sealing and special products to clean so as to not damage it. 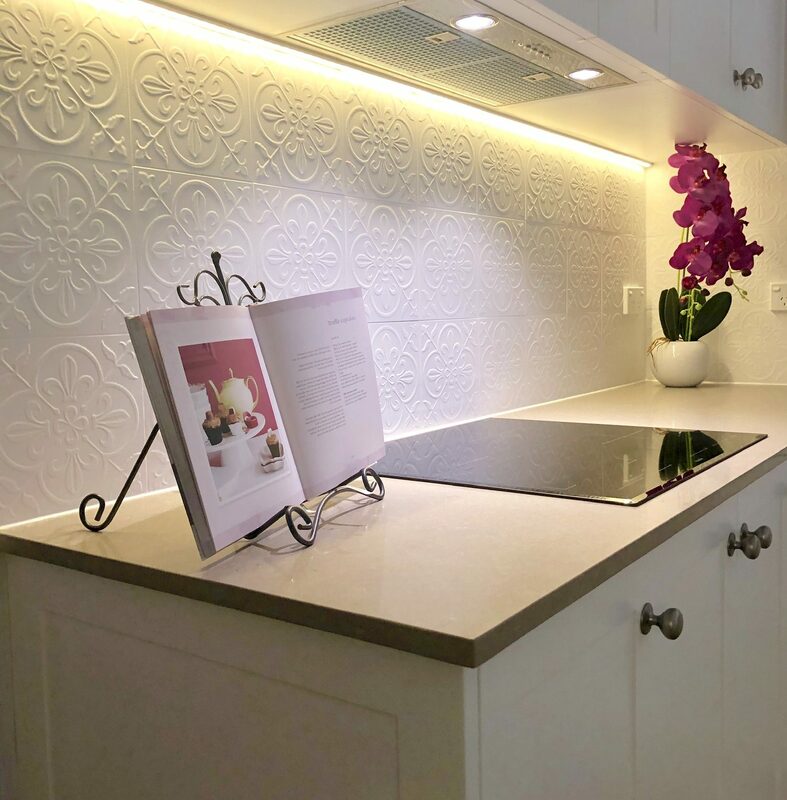 Rather than using a natural stone, there are stunning faux stone (imitation) porcelain tiles that perfectly mimic natural stone, even marble with all its veining. There are many advantages of using these natural stone look alike tiles however, two pros stand out from the rest. They are easy to clean and unlike natural stone do not require regular sealing. Back to wall toilet suites are exactly as the name states. They are installed with their backs flush to the wall and hide ugly plumbing, making them a lot easier to clean in comparison to older model toilets. No more reaching behind the toilet to clean the floor and the exposed s-trap or p-trap. In-wall cisterns make cleaning easier simply by having one less thing to clean as the cistern is concealed inside the wall cavity and leaves only a flush plate exposed, which requires just a only a quick wipe. This type of cistern also creates a seamless finish and adds to the appearance of space in the bathroom. Back to wall toilet with in-wall cistern. Bathroom Renovation by Master Bathrooms & Kitchens. 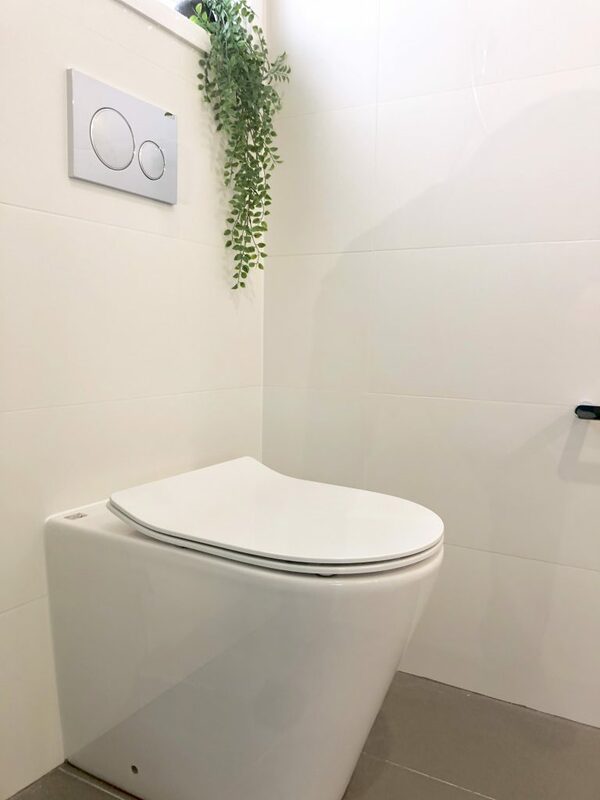 Rimless toilets are the newest trend in toilet design and are by far the best innovation in toilets since the dual flush. Again, they are exactly as their name states. They are without the impossible to clean rim inside the pan. Traditional rimmed toilet pans collect bacteria, limescale and grime that is incredibly difficult to clean and impossible to see. Rimless toilet pans mean no more bleaching and endless scrubbing, never truly knowing exactly how effective the fruits of our labour really are. Rimless toilets require only a simple, quick wipe inside the bowl, and you’re done! Wall hung vanities have no legs or kickboards that collect dust, hair and ultimately chip or begin to corrode over time. No more bending down to wipe under and around the vanity with hard to reach places. Just a quick swipe with a duster and a mop, and the area is clean. 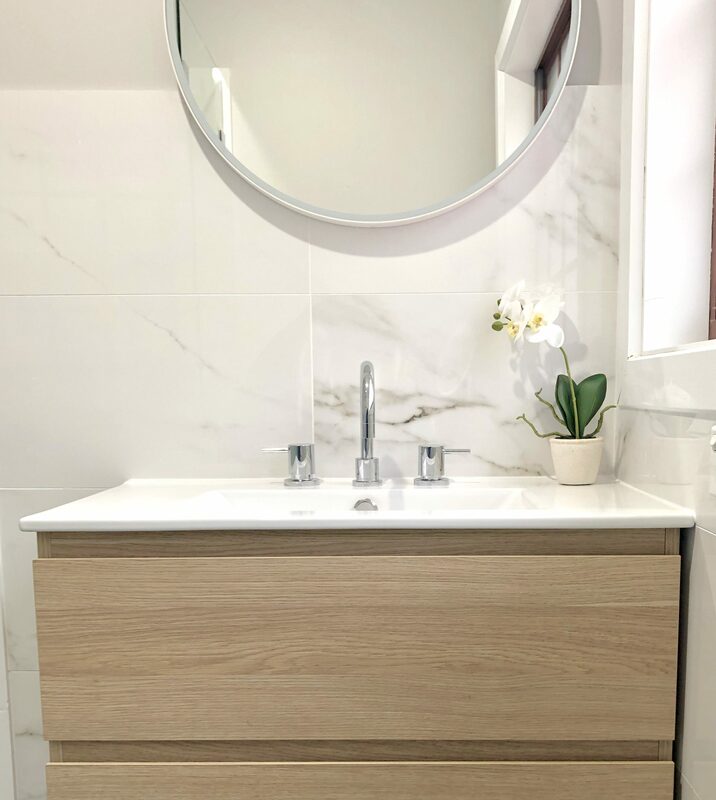 For more information on wall hung vanities, read our blog post Why you should consider a wall hung vanity for your bathroom renovation. Pop up wastes in vanity basins replace the older style plug and waste. These pop up wastes not only prevent the annoying occurrence of misplacing the plug, but they make cleaning the waste and clearing a blockage easier. Hair and dust tend to build up in vanity basin pipes, and being able to quickly tend to this common problem has never been easier with pop up wastes. Simply unscrew the pop up waste and clear the blockage then screw it back in, no tools required other than the plastic drain unblocker itself. Gorgeous wall hung vanity with large custom made mirrored shaving cabinet. Bathroom renovation by Master Bathrooms & Kitchens. Adjustable, hand held shower roses make cleaning the shower recess an absolute breeze. Simply rinse the shower walls and glass screen of soap and residue after each shower and use a squeegee to dry. Your shower will stay sparkling clean day in and day out! With a hand held shower rose, this task takes just seconds out of your daily shower routine. Incorporating a niche in the shower avoids the need for protruding shelves that collect grime and corrode over time. The shower niche can be tiled with the same tiles as the wall or a contrasting, decorative tile to create a stunning feature. 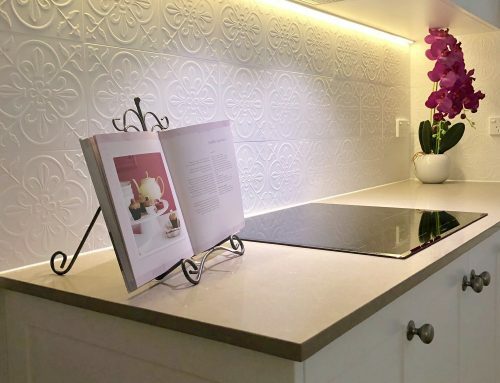 Niches are tiled with a slight fall so that water drains off and doesn’t collect, thereby avoiding mould. Not only do shower niches look great make cleaning easier, a shower niche avoids bumps and scrapes that are all too common with protruding shelves. Beautiful black rainfall shower with adjustable hand held shower rose and shower niche. Bathroom Renovation by Master Bathrooms & Kitchens. 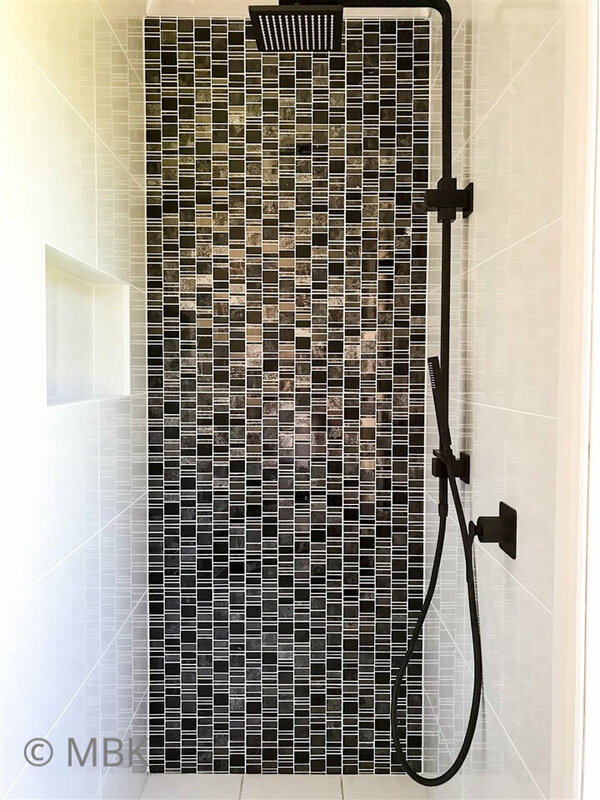 Linear shower grates and smart wastes are the latest in decorative plumbing and create a seamless finish in the shower recess. 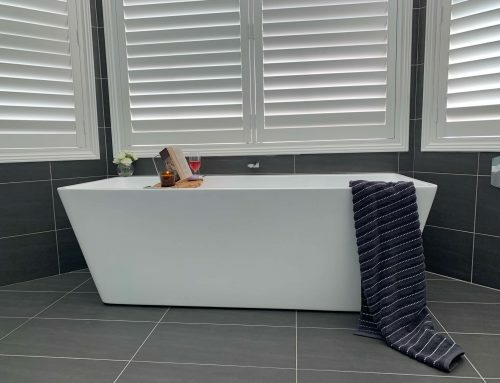 Linear shower drains in particular offer an enhanced drainage method but both are available with a debris basket that collects hair that can be emptied to avoid the drain becoming blocked. It must be noted that it is imperative to empty the debris basket so as to not put unnecessary burden on the waterproofing system. Both linear grates and smart wastes make cleaning the shower drain incredible easy. 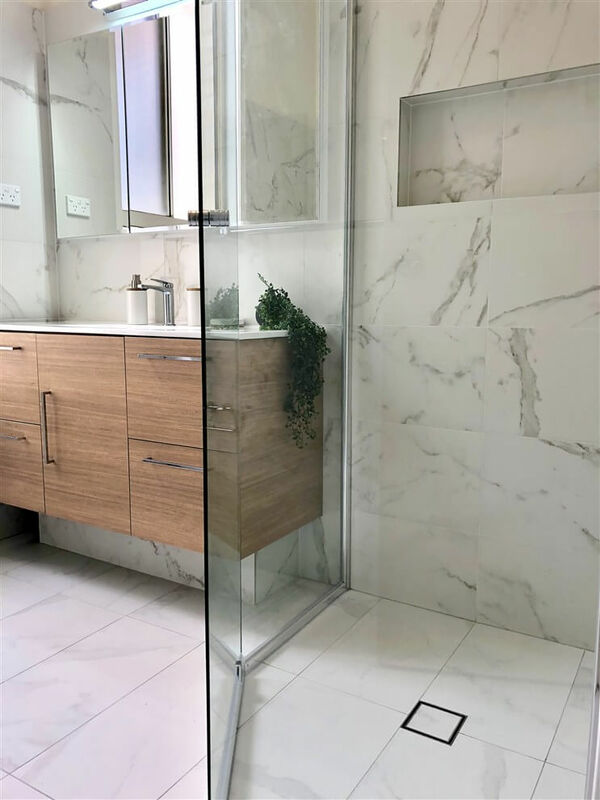 Frameless shower screens are custom made to perfectly suit the shower area and create a modern and clean finish. 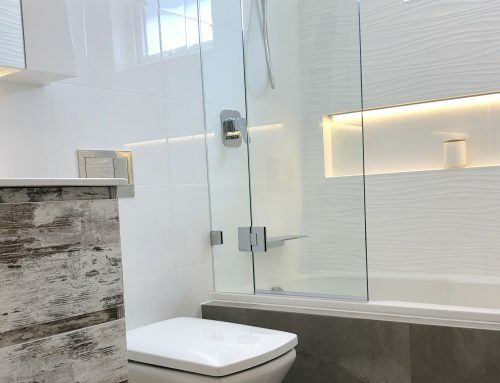 As they are completely frameless, there are no nooks and crannies as is with framed shower screens for water to become trapped, so they reduce the chance of mould growth. No frame also means they easier to clean as all is needed is a quick rinse after shower use and a quick wipe with a squeegee. Shower/bath installation with niche & recessed mirrored shaving cabinet. Bathroom renovation by Master Bathrooms & Kitchens. Heated bathroom flooring is commonly thought of as an added luxury that we often only consider when our climate becomes cooler. Although, heated flooring is beneficial in a way other than heating. 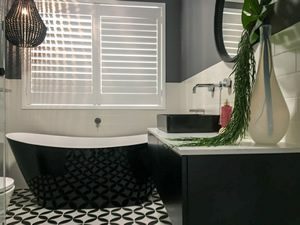 In the average household, where the shower incurs multiple showers daily, the shower floor is almost never completely dry and this can encourage mould growth. Heated flooring helps to dry out the shower recess area, which reduces the chance of mould forming. To find out more about bathroom floor heating see our blog post Benefits of Bathroom Electric Floor Heating. Master Bathrooms & Kitchens is a family owned & operated company that was established in 1995. 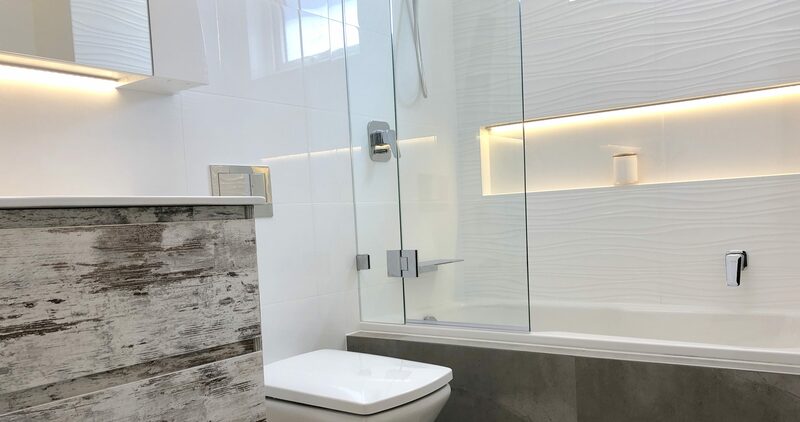 Our many years of experience ensures that we create a beautiful and perfectly functional bathroom that you will enjoy for many years to come. 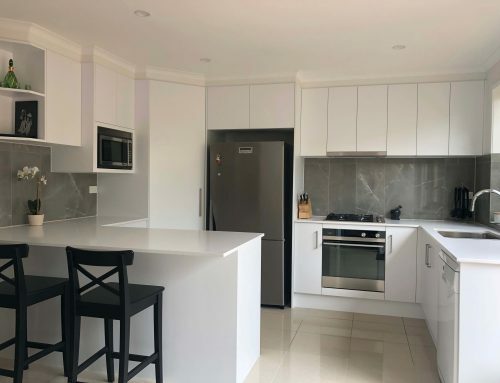 Peruse our website for more renovation inspiration and check out our Guides & Projects section for valuable renovation advice. 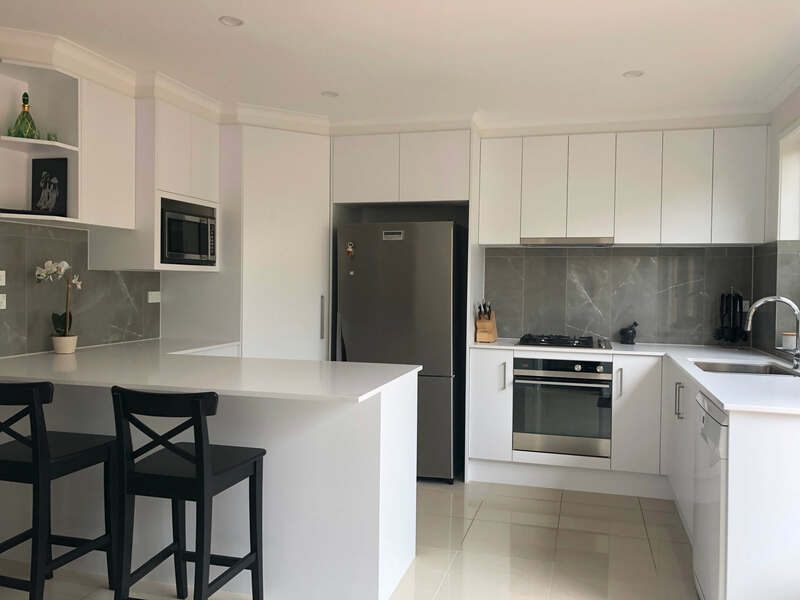 Michelle Mannah has worked in the Bathroom & Kitchen Renovation industry for over 25 years.